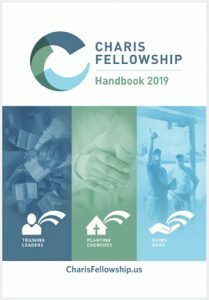 The date to pre-order the 2019 Charis Fellowship Handbook has been extended to January 4, 2019. The Handbook, which will be shipped in January, will provide up-to-date information that will enhance your relationships within the Fellowship. It’s something that you’ll want to have on your desk for ready reference. Advertisements from Charis Fellowship ministries that help underwrite a portion of the production costs. Cost to pre-order the Handbook is $8 each plus shipping. It may be ordered online at bmhbooks.com. If you would like to order 10 or more copies, please call our toll-free number, 800-348-2756. The cost for 10 or more is $7 each plus shipping. After January 4, 2019, the price will be $10 a single copy, and $9 each for 10 or more. As always, information in the Handbook is available online at no charge at charisfellowship.us/handbook, but you’ll want to have a hard copy of the book available for convenient access. Simply click here to place your order.